Above: Some of the men featuring in the film ‘DAD’. 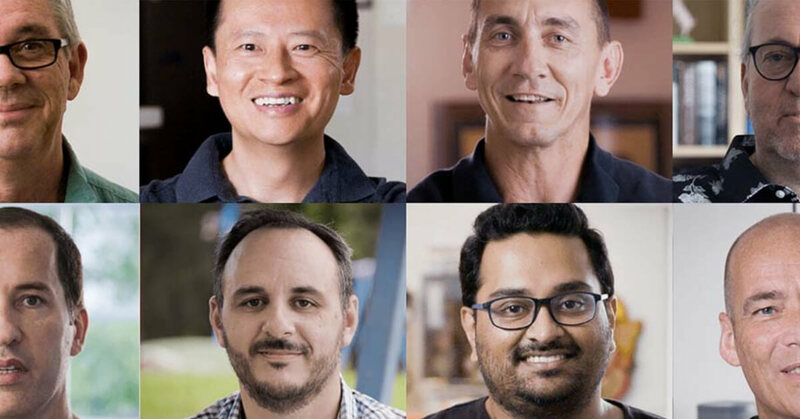 Top row, L-R: Ian Rogerson, Lai Huynh, Mat Rogers and Michael Whelan; Bottom row, L-R: Monir Elhage, Nick Orsatti, Raj Shashi and Richard Peake. Parents of children with autism will nod, smile, laugh, shed a tear – and gain great insight and encouragement – from a moving new short documentary film called DAD. 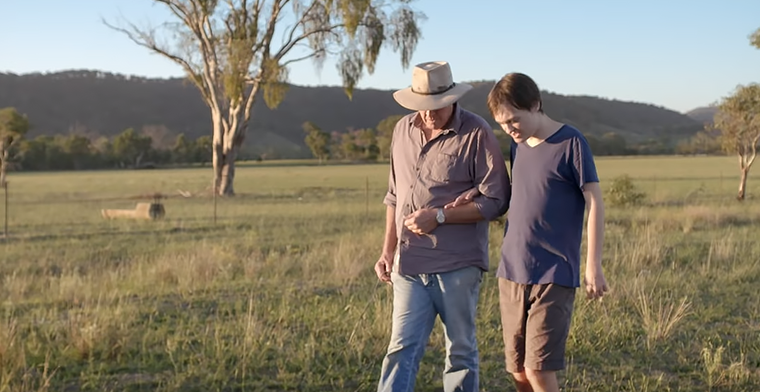 Featuring 12 dads of kids with autism, including 90s – 2000s football star Mat Rogers, the film from Autism Awareness Australia is only 36 minutes long – an easy watch. It shows that autism can touch anyone, but that with the right support, parents and their children can thrive. Along with a star footballer we meet a marketing executive, a radio presenter, a farmer, a neurosurgeon, a public servant, an optometrist, a pharmacist, an academic and more – and learn how they have navigated through the ups and downs of their child’s autism diagnosis. We hear how they first reacted when they learnt their child’s condition, how it has impacted on their marriage and family life, what their autistic child has taught them about life, and how the experience has changed them for the better. The emotional struggles, the tears and the victories, the good days and the bad days all take centre stage. Above: Greg Rafferty and his son Alex at home on the family farm. For farmer Greg Rafferty, some of the standout moments of development include the memorable day was when his teenage son Alex learnt to open and close a gate on the farm. For a boy with Level 3 autism, it was a major achievement that took four months’ work, and was a real victory moment. For Mat Rogers, the experience of parenting his son Max has humbled him and changed him for the better. Other fathers say they have become more patient, understanding, thoughtful and reflective, less selfish, more caring of others, and less judgmental, knowing that everyone has a story and needs compassion. One dad says he is now “unembarrassable” as he has learnt to be at ease with the unusual situations his son can create. Above: Mat Rogers with son Max gaming at home. Pharmacist Monir Elhage encourages parents not to avoid therapies out of fear and denial. “You have to give it a name,” he says. Alex James-Elliott, father to Taj, says he appreciates how lonely it can be as an autism dad can be, but encourages fathers to keep moving and believing things will get better. Marketing executive Richard Peake says while being a dad to an autistic child “doesn’t come with instructions” and can often be lonely, talking to others will help you to feel more connected. “I am increasingly hopeful that with initiatives like this documentary and a broader more positive dialogue in society around autism, dads like me realise it doesn’t have to be quite so lonely, and actually talking about “it” can only help you and your child,” he says. See the film DAD and connect with other parents in the autism community at the website, dadfilm.com.au. Next PostNext How Much Life Insurance Cover Do You Need?